What is the “American identity,” and how has the artwork of the American west affected your ideas of American identity? 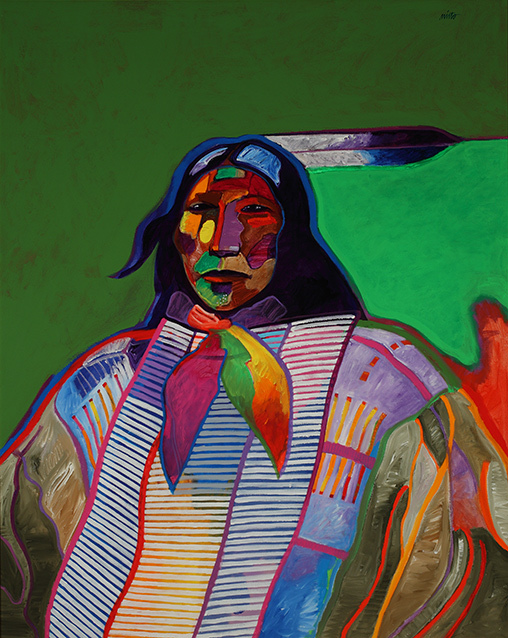 John Nieto (born 1936), Plains Warrior with Breastplate, 1998. Acrylic on canvas, 60 × 48 inches. Tacoma Art Museum, Gift of Christopher and Astrid Forbes in honor of Erivan and Helga Haub, 2013.16.